It’s a special prescription that’s issued by your doctor. Usually after a private consultation. If you’re written a private prescription then you’ll need to pay for the actual costs of the drugs you’ve been prescribed, not just the standard NHS fee. We are happy to dispense all private prescriptions. The price will depend on the cost of your medication and the quantity you’ve been prescribed, but our pharmacy team will be happy to calculate the cost for you – just ask or e-mail us for a quote at privateprescriptions@innox.co.uk or call us on 01695 474433. 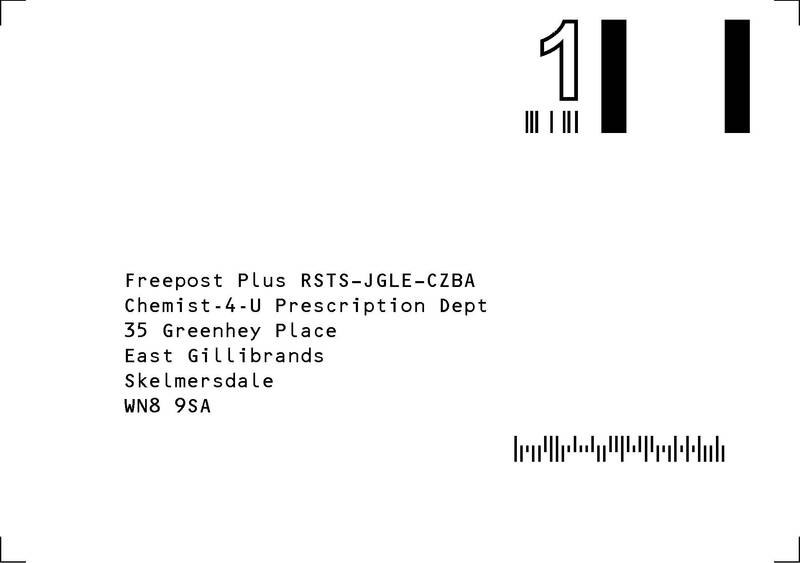 Send your original private prescription using our freepost envelope or if urgent use special delivery & send to Prescription Dept, Chemist-4-U, 35 Greenhey Place, Skelmersdale. WN8 9SA. Please ensure you include your name, address. Once we have received your private prescription, we will dispatch your order as soon as possible. Chemist-4-U does not sell any information to anyone else for any reason.